Does anyone remember the old Food Network show featuring a guy in an RV? Jim O’Connor’s show, The Secret Life Of… always received mixed reviews. Most loved his almost manic but amicable personality. Others just marveled that a guy living in an RV who was better at “eating” than “cooking” could have his own cooking show. Fast forward to 2018 and RVing is again being featured on the Food Channel. In the opening show, the hosts demonstrated to viewers how to “elevate their camping experience” with two fun recipes made in the kitchen of a 5th wheel. The Go RVing PR team is also preparing for upcoming national television spots that will showcase RVing including four features on the business network CNBC this summer. Go RVing will take over the plaza outside the New York Stock Exchange to set up an RV, which will be the setting for “Closing Bell” anchors to come outside and interview an RV industry executive. The live segments are scheduled May to August. In addition, RVs will be featured on the highly-watched “FOX & Friends” morning show on June 2. Go RVing spokespersons representing key RVer demographics will appear throughout the morning against the backdrop of an urban campground the PR team will construct outside the FOX studio. The morning will include three RVs—two trailers and a motorhome. “These are exciting opportunities to let viewers see how versatile RVs can be, and to imagine how they might use one themselves,” said director of media relations Kevin Broom. “Whether it’s a family traveler, an outdoor adventurer, or a grandparent interested in multigenerational travel, we’re going to make sure viewers understand there’s an RV that’s right for them. 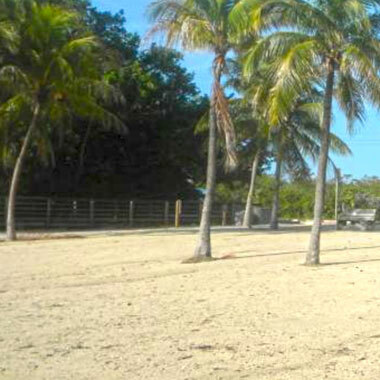 RV parks and campgrounds in the Florida Keys can be expensive in season. But from April through November, the water activities, sightseeing, shopping, dining, and relaxing under the swaying palms of this U.S. version of the Caribbean is balm to the soul. 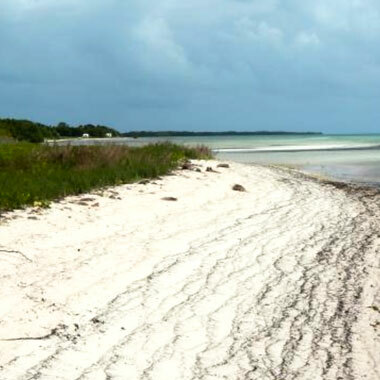 Located on Big Pine Key, this park has 86 sites offering beautiful sunsets and sunrises over the water, and private sites hidden by lush green foliage. There are beaches on both ends of the park for toe-dipping, fishing, snorkeling, and swimming. Inland there’s a butterfly trail, and a nice trail hike to a remnant of an original Overseas Highway bridge—the highway being near the southern end of U.S. 1 and the bridge now almost a century old. Located near Marathon, this park’s 28 large sites with tenting areas are generally coveted by RVers because there are no bad sites here—all ocean front and breezy. Hurricane Irma hit Marathon hard, so there’s less vegetation than before, but the lack of trees does make for great satellite reception and good cell service. Hiking trails, lots of iguanas, nearby kayaks rentals and shopping, restaurants, and ice cream shops are a short drive away. Located in Key Largo, this park offers 47 sites which makes for cramped conditions during season, but off-season is not a problem. The seafood dining options are the best! Key Largo Fisheries offers fresh seafood to go or to eat on picnic tables overlooking the marina. The Conch House and The Fish House are within walking distance. There’s plenty to do in Key Largo, so boredom is not problem. Five stars for convenience and activities! 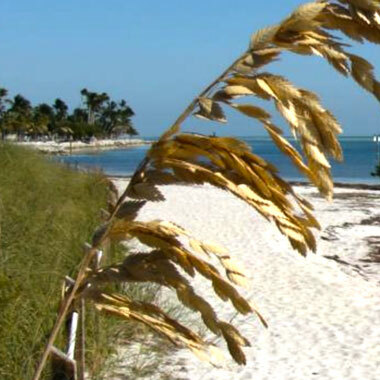 Located in Long Key, this park offers 60 sites all overlooking the ocean. Each site has a picnic table and ground grill, plus all the regular electric and water hookups (bring an extension cord to this park). Here, the ocean is shallow and sea grass feels soft on wading feet. The park is a natural ecosystem, and you can wade out into the ocean for a long ways. There was damage from Irma, so call to be sure all the facilities are open. 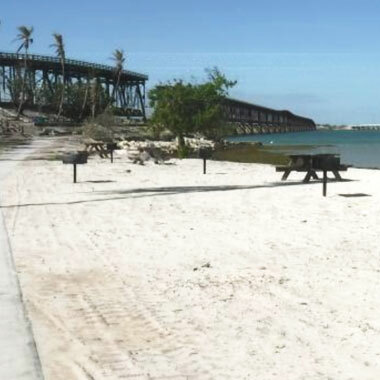 All of the oceanfront Florida Keys State parks were damaged by Hurricane Irma in 2017. Be sure to check before making reservations online to be sure that the park you like will meet your expectations.